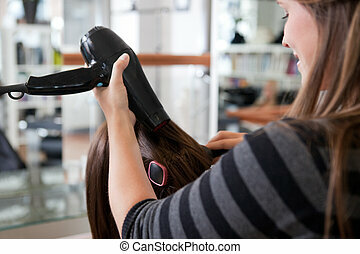 Hairdresser styling customer's hair with blow dryer and brush. 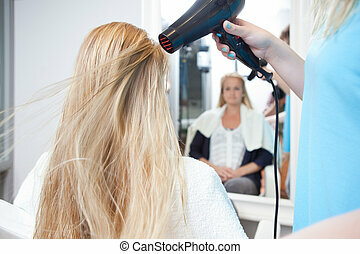 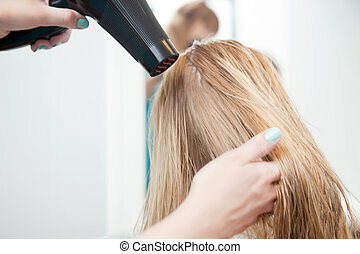 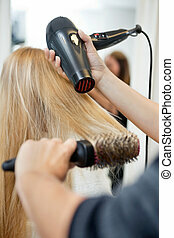 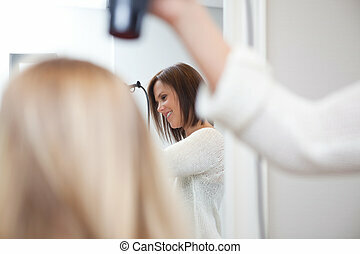 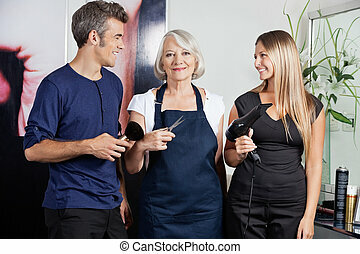 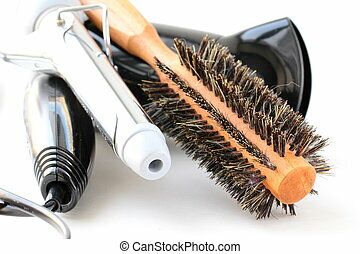 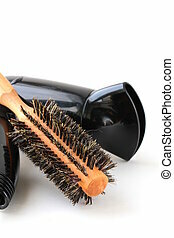 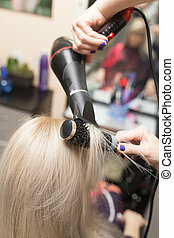 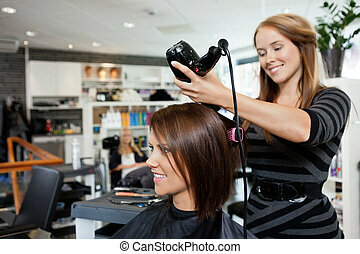 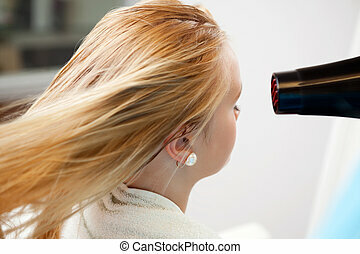 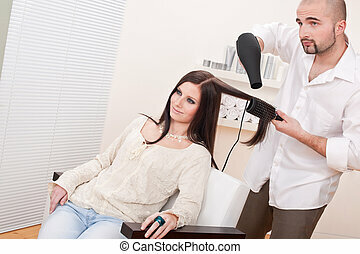 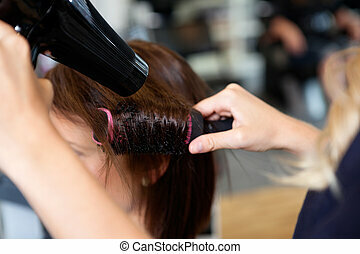 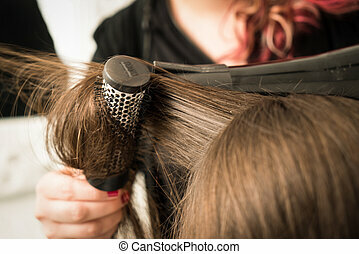 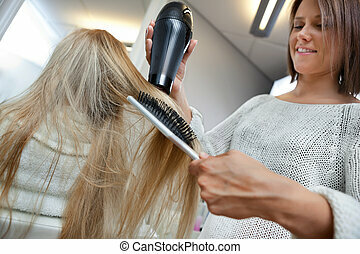 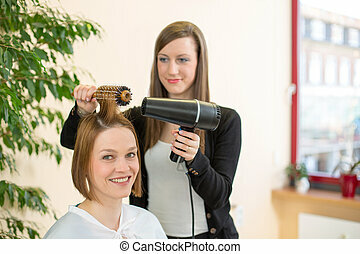 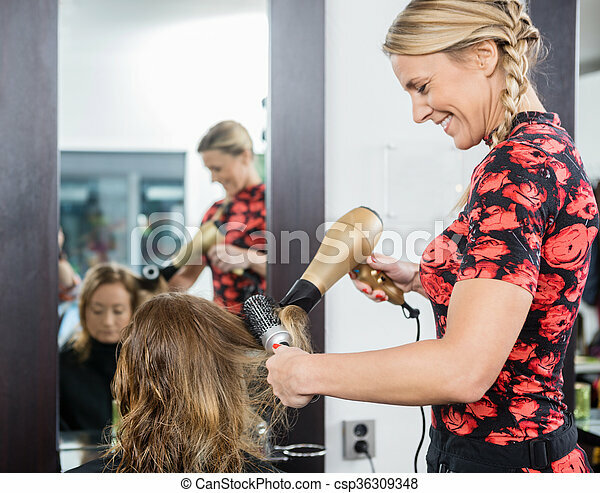 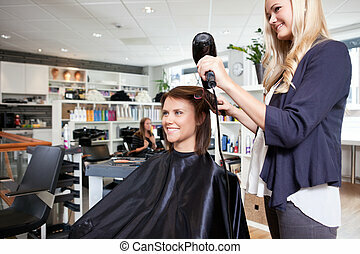 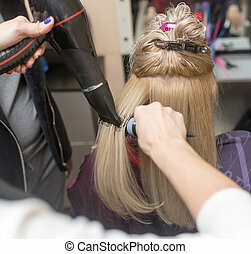 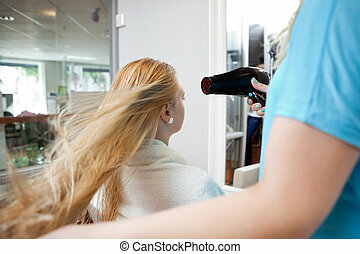 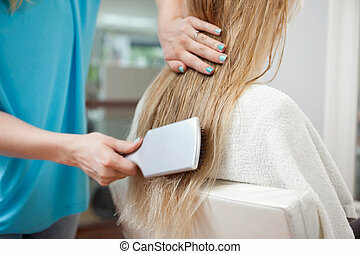 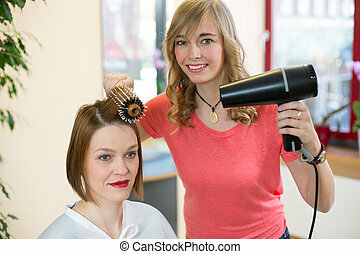 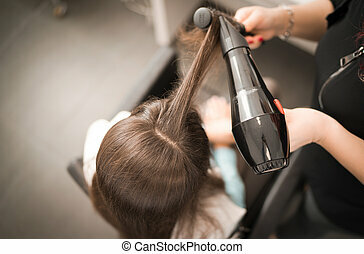 Friendly hairdresser styling female customer's hair with blow dryer and brush in salon. 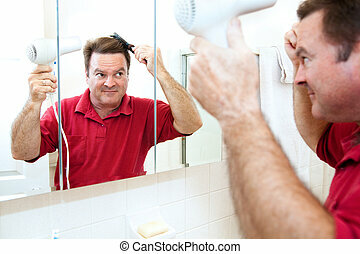 Man drying his hair with a hand held blow dryer in the bathroom mirror. 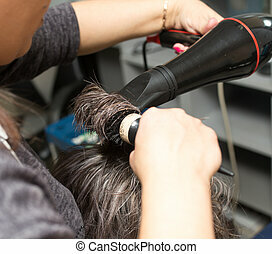 Detail of drying hair with hair dryer and brush at the hairdresser.